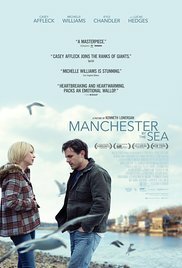 If you’ve seen a trailer for Manchester by the Sea or read any reviews, you may be hesitant to see it. Now. During the holidays. A time of good cheer. Because this not a feel-good classic or a comedy about a drunken holiday party gone awry. It’s a family tragedy and how one family struggles to survive. But I would argue that this is the perfect time to see it. Not only will you appreciate a nuanced, Oscar-worthy performance by Casey Affleck and his supporting cast, but you will walk away feeling lucky…grateful for each day and every friend and family member in your life. Because they are a gift. And this movie, while tragic, is a beautiful reminder of that. More than a few critics included the thriller It Follows on their year’s best list…some saying it was one of the great scary films of all time. Even with that ringing endorsement, I waited to watch the film until it was free on cable, and on early enough that I could shake off any creepiness long before bedtime. I like the fact that it began in the middle – – no long exposition, so you are spooked from the start. There are plenty of reasons to jump and scream, but no gore which I personally appreciate. And the movie doesn’t tie everything up with a bow at the end, which increases the spook factor. Is it the scariest movie I have ever seen? No. But it’s a good ‘un. 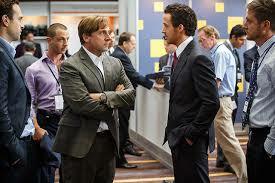 Unlike 95 percent of all other moviegoers this weekend, I saw The Big Short today, and the critics were right. It was excellent. And it made me mad all over again that the banks got away with it. The trailers before the movie kinda made me mad, too. Why did the movie studio attach such violent downer flicks to this picture? Just because I am interested in a movie about a financial disaster doesn’t mean I am keen to watch bloodshed in every promo. The rest of the audience appeared to agree with me. They only perked up when the trailer for Zoolander 2 was shown at the end. I finally saw The Man from U.N.C.L.E. today. I’m so glad I didn’t let the critics dissuade me. Since the stylized spy thriller opened counter to Mission Impossible: Rogue Nation, critics seemed hell-bent to compare the two. I’ve seen both; there’s really no comparison. MI:RN was a wonderful sequel in the Mission Impossible franchise, but the storytelling and action sequences are distinctly modern. The Man from U.N.C.L.E. is a homage to the 1960’s television series, and the look, feel, pacing, soundtrack — you name it — are true to that era. I also loved the very dry, British humor that director Guy Ritchie brought to the production. I’m not sure everyone in the theater today got it, but that simply made me feel smarter…and laugh all the louder. As the trailers promised, everyone in this film is beautiful to gaze upon. 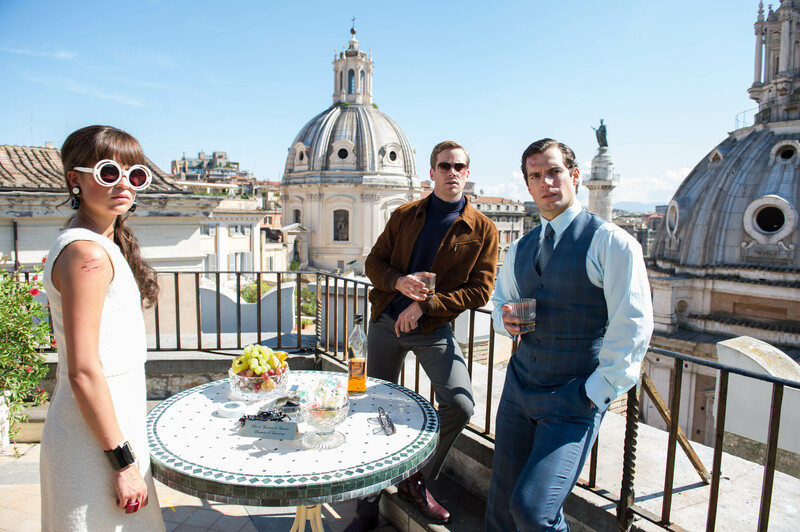 Russian spy Armie Hammer is deadly gorgeous, especially in the close-ups, and American agent Henry Cavill is so chiseled, he doesn’t seem realistic. Hugh Grant has also never looked better. He should hire the hair and makeup people and keep them on staff. I loved Mission Impossible: Rogue Nation and I loved The Man from U.N.C.L.E. I consider myself a bit of a risk taker…but not when it comes to pizza. I like thin crust pepperoni. Period. To my taste buds, that is the perfect combination, and I don’t mess with it…or bother ordering much else. 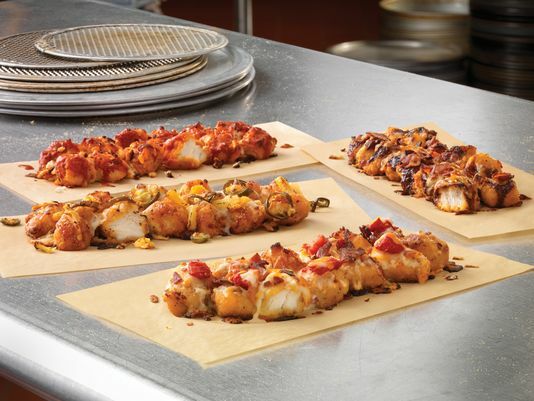 But I had a coupon at Domino’s the other day, so I added one of their new specialty chicken dishes to my order, and wow — it was good. I don’t want to sound like an ad, but the Crispy Bacon and Tomato Chicken was awesome. So, if you usually wear blinders when it comes to pizza — perhaps you would never order from Domino’s even — consider giving them a shot. I love their thin crust pizza. And now I even like chicken. 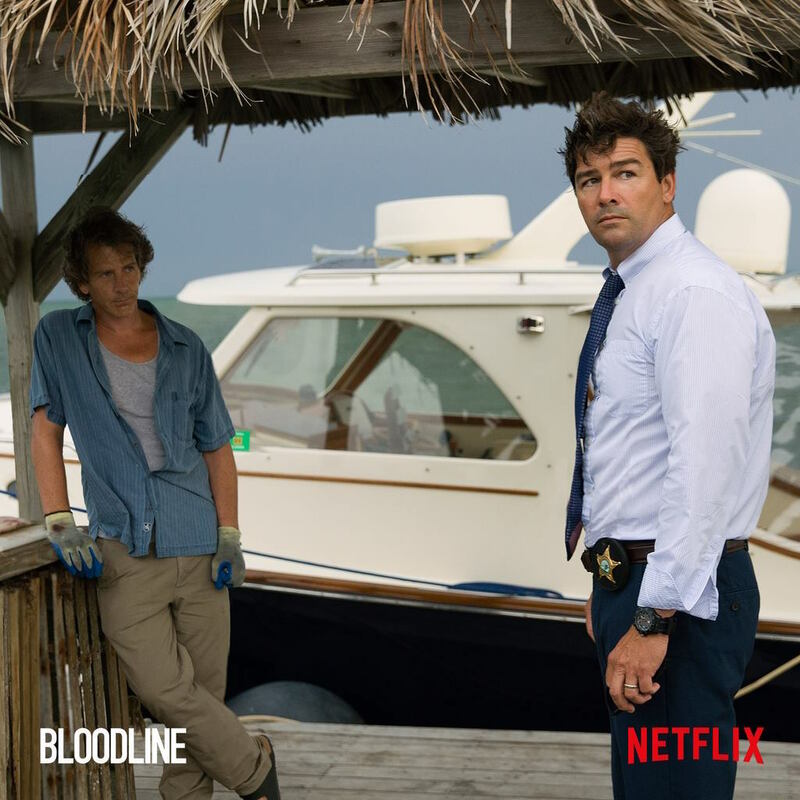 I finished watching the 13th and final episode of season one of Bloodline, the new drama from Netflix, who just keeps churning out these excellent shows. I thought this might be a one-and-done, but they recently announced the show will be back for season two. That explains a couple of things about the finale…which I won’t mention here. I want you to watch it, of course, if you aren’t already. And here’s why. Ben Mendelsohn — Apparently he is a leading actor in his native Australia, but even as much as I watch movies and TV, his face was new to me. He is brilliant. Really. He quietly steals every scene on the strength of his character work alone. Water Torture — The show may take place at a hotel on the Florida Keys, but the layers of mystery that surround the family members are doled out in excruciatingly slow drips. And I love it. When you’re used to movie trailers giving away the entire film in less than two minutes, it’s nice to have a genuine surprise in every episode. This pacing fits the leisurely vacation location, too. Game of Thrones — Characters drop right and left; that’s why I thought the show was over in one season. The second year is going to be interesting, but I have faith in the strong–albeit bloodied–cast that remains. So, add it to your Netflix queue. You will thank me!